Need the perfect teacup puppy gift? We are here for you! 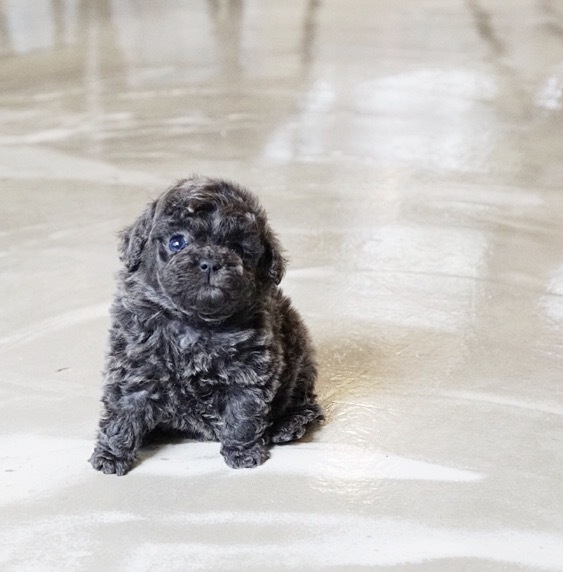 Buy our adorable cute little teacup poodle. 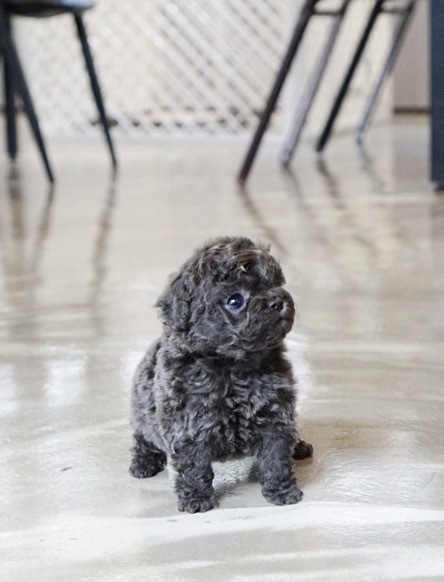 Teddy bear type micro teacup poodles for sale has a stunning rare blue coat. 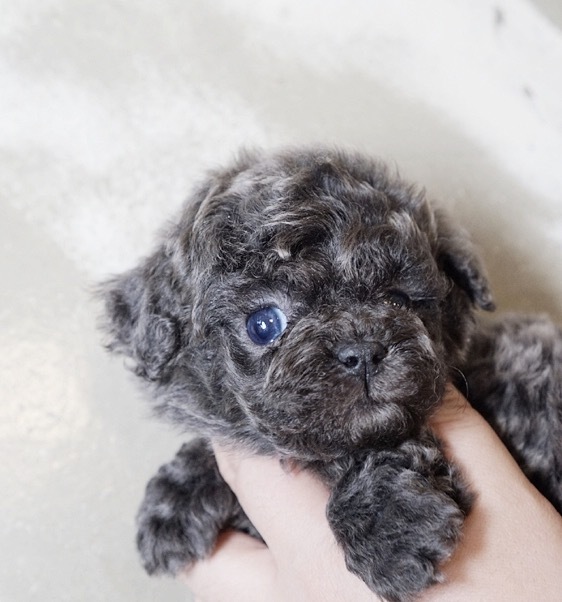 This cute face mini poodle for sale are currently having blue eyes but we think they will change in the coming months. 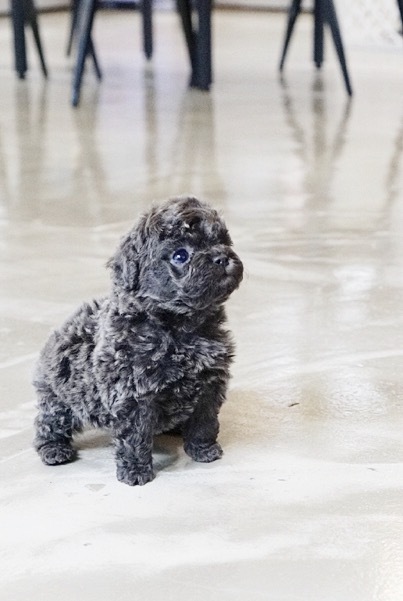 Micro-sized poodles for sale is flawless and named as Petie! Our teacup poodle puppies are lionhearted ready to do anything to defend your home, master, and mistress. 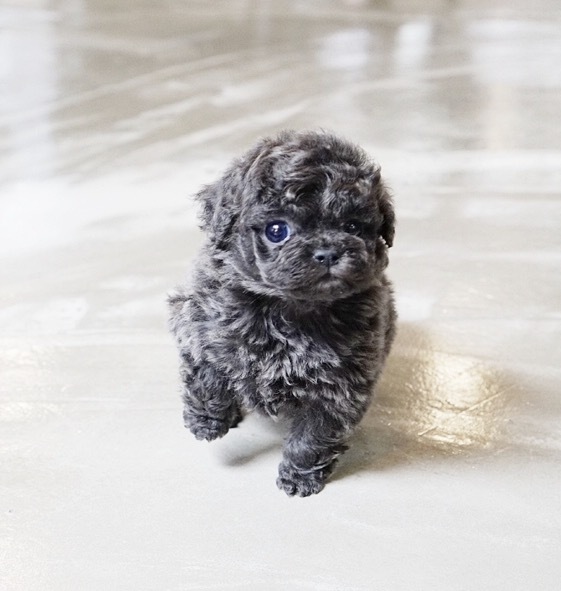 We offer a beautiful selection of the best quality and healthier mini poodle for sale. Call or text us to buy teacup poodle.